Do you know the top dogs of influencer marketing? Effective communication between marketers and influencers is vital in an influencer marketing campaign. Communication serves as the foundation of any collaboration and can assist marketers and influencers to plan, motivate and organize a collaboration. Poor communication can be the source of a failed influencer marketing campaign. Below we have given both marketers and influencers a few key methods to increase the effectiveness of their communication on Webfluential, including how marketers can write the perfect brief to kick off a campaign, how influencers can create a quote to send marketers and how marketers and influencers can keep in contact during a collaboration. The idea: Outline the key message you wish to convey. Include the language you want the influencer to use along with any brand sensitivities (taboo topics and actions). 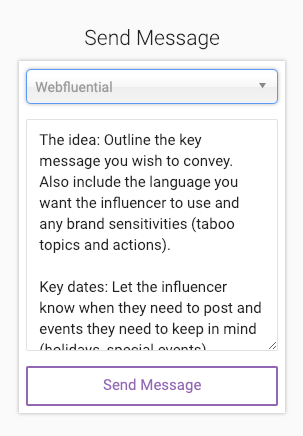 Key dates: Let the influencer know about any events they need to keep in mind (holidays, special events), especially if the entire campaign revolves around a specific event i.e. Valentines Day. Time to post: Timing is everything. The time and day of the week can affect the performance of a post, therefore it is important to let influencers know when they should post. Budget: The budget you set will dictate the tier of influencer you can use as well as determine how much you can spend on paid media. Informing the influencer on how much you are willing to spend will allow them to curate and organize their content accordingly. Content: Tell the influencer what channels they need to post on, the form of content they need to create (Images, stories, videos). FTC guidelines: Informing the influencer about FTC guidelines, such as making it clear that their content is sponsored, is extremely important. Marketers and influencers who ignore FTC guidelines can potentially get into legal trouble. Audience: Marketers need to create a buyer persona and then tell the influencer exactly who the buyer is. Influencers will be able to create content that appeals to that buyer. 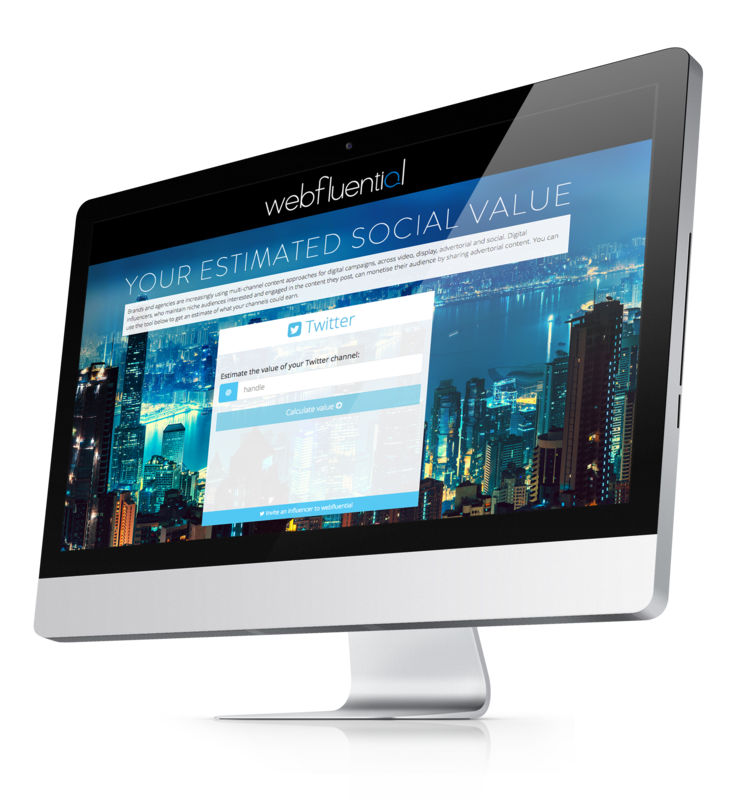 Find out more about key audience metrics on Webfluential here. 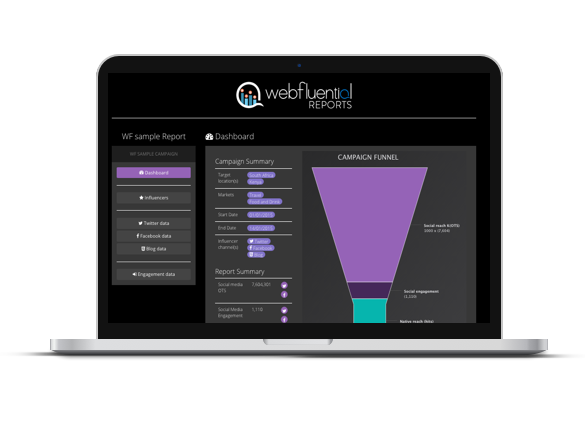 Marketers can use the above as a template when booking influencers on Webfluential. Simply search for an influencer that you would like to collaborate with then send them a message with your perfect brief. When you receive a brief from a brand you will be able to create a quote and also send a message to the marketer, possibly giving them feedback and your plan of action. 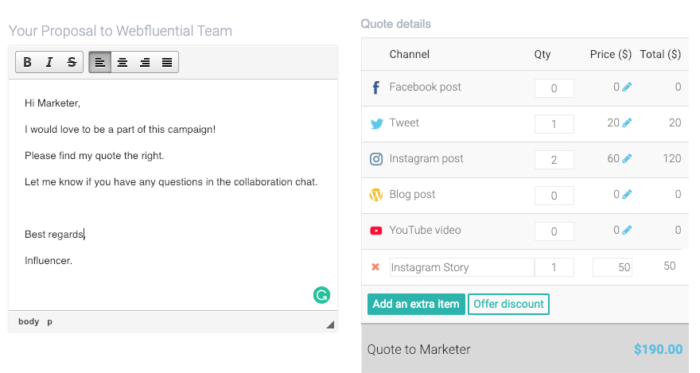 To create your quote Choose which channels you will use and how many posts on each channel you will create (set the quantity of the channels you do not want to use to 0). You will be able to add an extra line item, such as an Instagram story or a public appearance if the marketer requests this. You will also be able to offer the marketer a discount. Once the influencer has set their quote and the marketer accepts it, a major key is to remain in contact throughout the duration of the campaign. 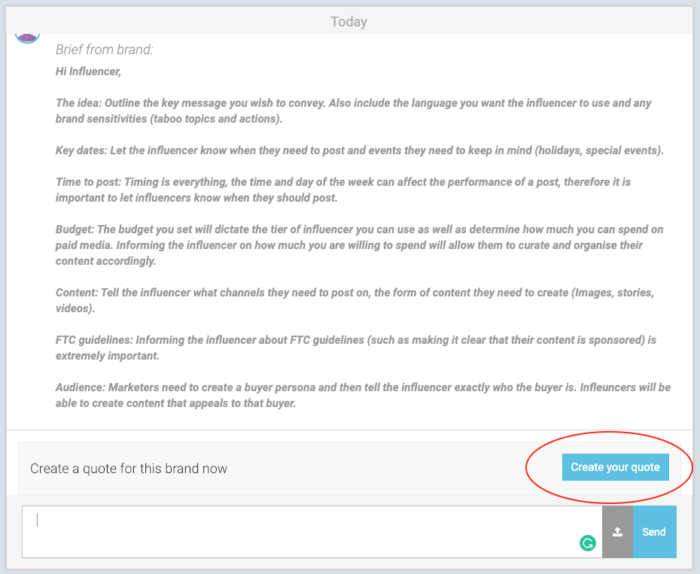 Marketers and influencers will be able to contact each other in their ‘collaboration chat’. 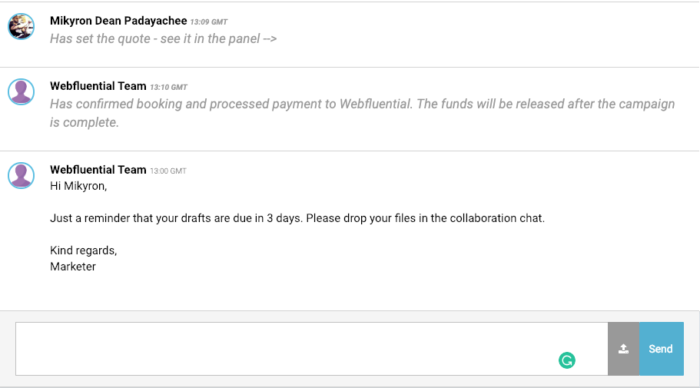 The collaboration chat is an important tool for both parties to use to communicate and share files ensuring that all the content is suitable before going live and that all objectives included in the influencer brief are met. Start collaborating with influencers here. Register as an influencer and start collaborating with brands here.